Irish mammies – actually hold that thought – all women and men of all ages and skin types will LOVE this amazing miracle oil from Éminence Organic Skin Care. It’s a toning and hydrating oil created with precious herbs and nourishing oils to soothe and renew sensitive and ageing skin. 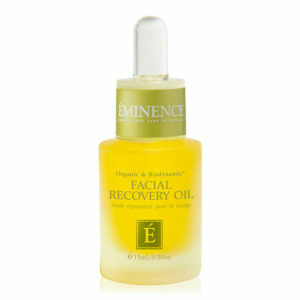 It’s available from www.eminence.ie for €69.00. So while it’s the perfect pressie for Mother’s Day, it’s also the perfect pressie for you!